This might be true if Earth’s climate were dice, where rolling a six has no effect on the odds of the next roll being a six. But climate is a continuous process of incremental change. A unified theory of media idiocy on climate is beyond the scope of this column, but even someone with the apparently parched intellect of an AP editor should be able to look at National Oceanic and Atmospheric Administration charts and notice that cool years are grouped with cool years, warm years with warm years, and in-between years with in-between years. Either NOAA’s entire temperature history is a statistical anomaly of incomprehensible, galactic proportions—or AP has peddled itself a faulty assumption. And sure enough, Mr. Grego tells me AP specifically instructed him to assume “all years had the same probability of being ‘selected’ as one of the 10 hottest years on record.” This is akin to assuming that, because you weighed 195 pounds at some point in your life, there should be an equal chance of you weighing 195 pounds at any point in your life, even when you were a baby. The real mystery, though, would be if the warmest years did not bunch up in the post-1998 period, given the sharp warming observed from the late 1970s to the late 1990s. When climate reporters robotically insist, as they did again this week, that the 2000s represent the hottest period in the rather skimpy, 134-year historical record, they are merely reiterating that the pre-1998 warming happened. No clear trend up or down has been apparent since then. The bigger problem, of course, is that evidence of warming is not evidence of what causes warming. 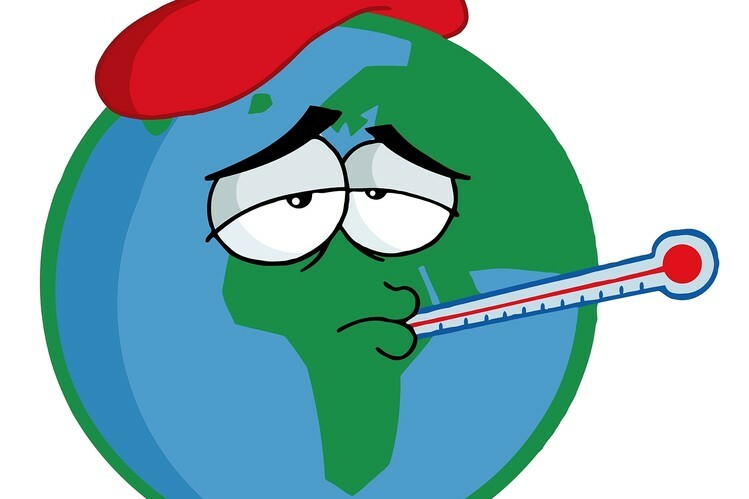 One would be astonished if mankind, with its prodigious release of greenhouse gases and other activities, were not having an impact on climate. But how and how much are the crucial questions. But all this is magisterially beside the point in a sense. If the decades have validated any set of propositions, it’s the following: Mankind is unlikely to do anything meaningful about carbon dioxide as a matter of concerted public policy, and anything it does will be in the service of domestic pork interests, having no impact on climate. Even if humanity could assert bureaucratic control over climate, the cost-benefit case would remain problematic—the costs being huge and the benefits necessarily being as uncertain as man’s role in causing climate change. A carbon tax as part of pro-growth tax reform might pass a cost-benefit test mainly thanks to the nonclimate benefits of tax reform. Alas, no sign exists that a quorum of countries is ready to march together down this road. President Obama this week decided to use the tax-reform opportunity to pursue partisan class-warfare themes rather than advance a carbon tax proposal in exchange for lower rates. So the climate problem, if there’s a problem, likely won’t be solved by some supreme effort of global bureaucratic will. But one could easily imagine it being solved by the normal, unwilled progress of technology. A battery—pick a number—five or 10 times more efficient than today’s, holding more energy and charging and discharging faster, would so revolutionize world energy practices that scientists would have to consider how a sudden decline in human carbon-dioxide emissions might affect the climate. Solar and wind collection don’t have to be particularly efficient if storage becomes efficient. More solar energy reaches the earth’s surface in a year than is contained in all remaining reserves of fossil fuels and uranium. And to the inventor the financial and reputational rewards would be extravagant—which explains why billions of dollars are flowing into battery research. Posted on January 21, 2015, in Postings. Bookmark the permalink. Leave a comment.